In January, the Congressional Budget Office published the 2015 estimate of federal spending, revenues, and deficit. On Groundhog Day, President Barack Obama released the administration's proposed FY 2016 Federal Budget. At the intersection of the two was a White House twitter-storm promoting the budget and taking credit for deficit reduction during the Obama administration. 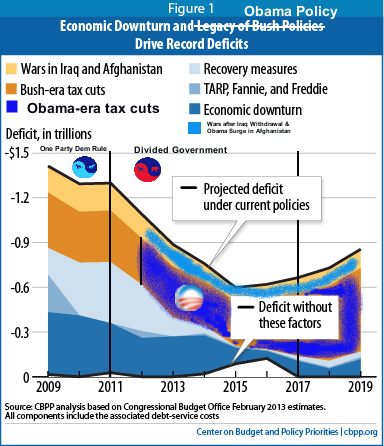 The President's claimed 2/3 deficit reduction occurred only after he first tripled the deficit. The deficit is still higher now than during President George W. Bush's last year in office. Our debt has climbed from $11 trillion to over $18 trillion during his administration. The debt will continue to increase and the budget never balances under his latest proposal. The unsustainable unfunded liability of entitlement spending has not been addressed. "The Congressional Budget Office released their first 2015 estimate of federal spending and revenues last week. A fun read for budget geeks like me. Here's the most important take-home message: federal government "gridlock" -- the type that is often derided by the media and political scientists -- has kept government spending under control the last few years. In the first two years of President Obama's term, when Democrats controlled both houses of Congress, federal "discretionary" spending -- the more than $1 trillion that is appropriated each year, which does not include Social Security and Medicare -- grew by an average of around 9 percent a year. 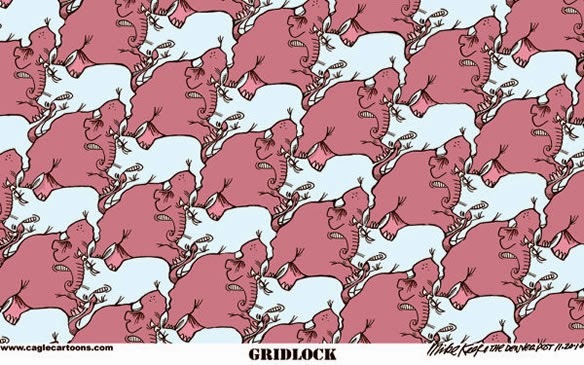 What happened once Republicans won control of the House in the election of 2010 and "gridlock" began to set in starting in 2011? Discretionary spending actually declined by an average of 4 percent each year through 2014. The conventional wisdom that Democrats are bigger spenders than Republicans can't explain this either. History actually doesn't provide much evidence of this conventional wisdom. The last time the U.S. had "united" government -- during the presidency of George W. Bush when the GOP had complete control of Congress and the White House -- it yielded average annual growth in discretionary spending of around 7 percent between 2001 and 2006. That's much higher than the roughly 2 percent average annual growth when Republicans controlled Congress and Bill Clinton was in the White House, an increase that is basically wiped out when inflation is taken into account. 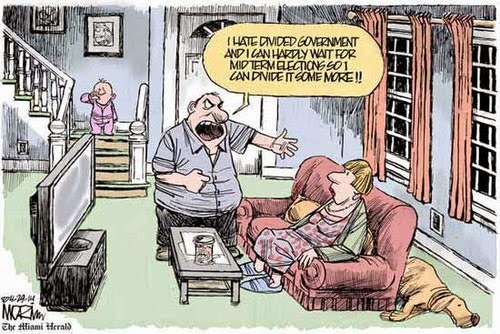 When it comes to government spending levels, gridlock is usually a feature, not a bug." President George W. Bush's administration was a debt and deficit disaster. President Obama's administration is far worse. 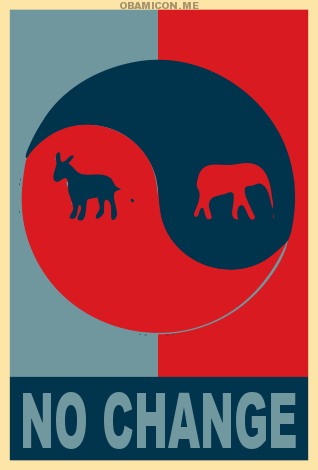 The good news is we now have the optimal divided government configuration with a Democratic President and Republican Congress as we had for the last six years of the Clinton administration. With any luck, we'll keep it that way. Candidate Hillary Clinton has some decisions to make. If she puts some distance between herself and the Obama lurch left represented by his budget and instead embraces the compromise and centrist policies that were the hallmark of the Clinton administration, our happily divided government should continue into 2017 and beyond. 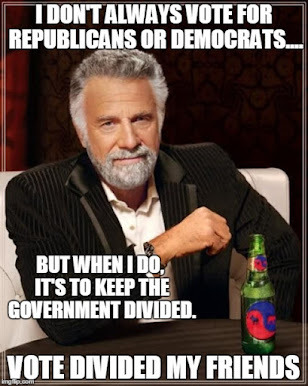 Divided government - It's a good thing. 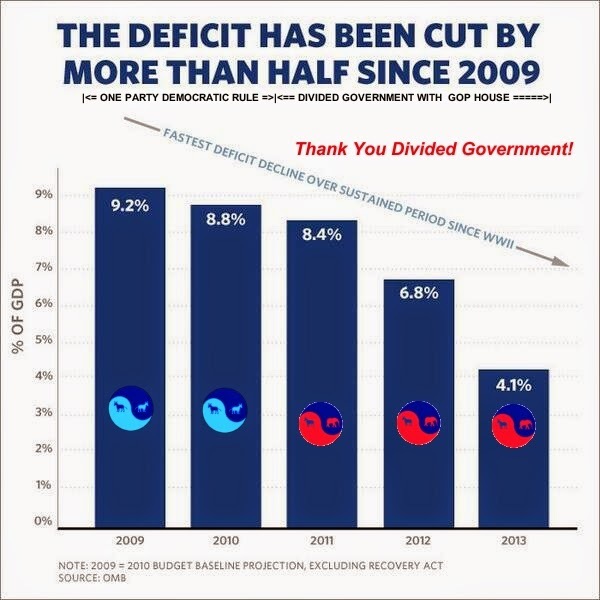 the last budget that Bush signed gave the USA the largest deficit in our history. You seem to hae tried to cover that up. I am not covering anything up. As I've said repeatedly on this blog, The Bush43 spending, deficits and debt were extremely bad. At the time, I didn't think it could be worse. I was wrong. 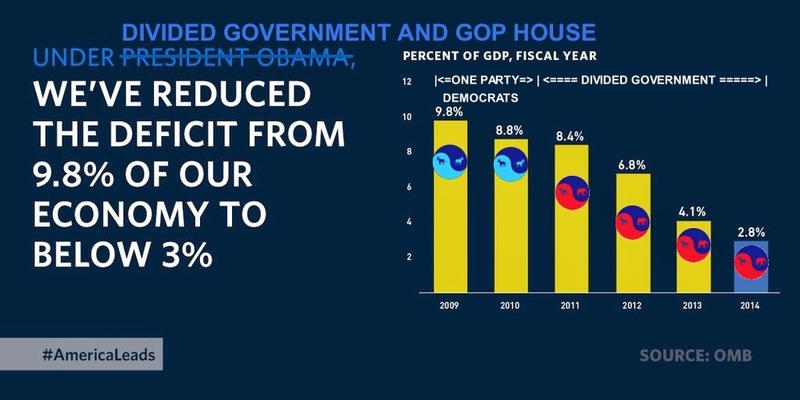 The simple fact is the Obama spending, deficits and debt have been far worse. Particularly in the first two years of the administration until the GOP won the House, divided the government, and started to apply the brakes.